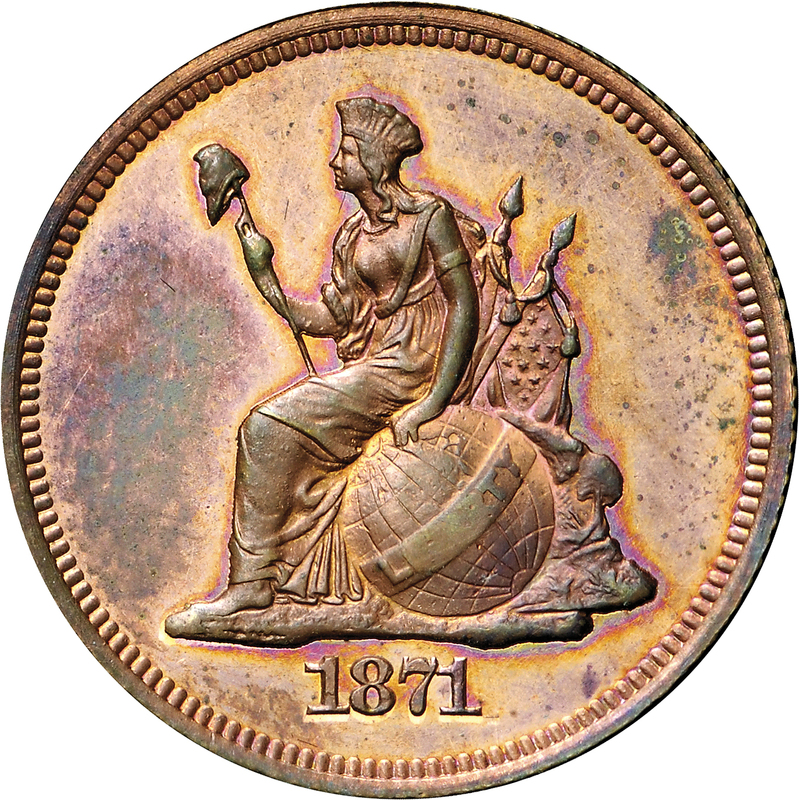 James Longacre’s Indian Princess design on a 10-cent denomination pattern, this example is struck in copper. The reverse is the slightly reduced-diameter Standard Silver design with the denomination enclosed in a wreath of grains. Note the particularly wide reverse border. 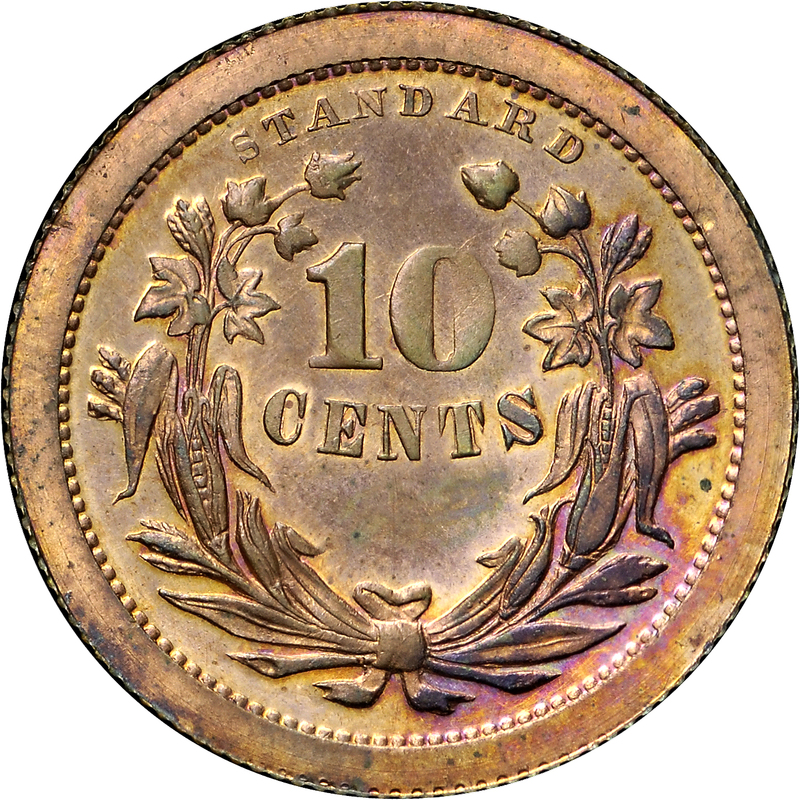 The obverse die was prepared at the normal diameter for circulating coinage of this denomination, while the reverse was slightly reduced. 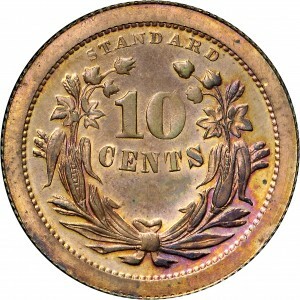 To accommodate the obverse, normal diameter planchets were prepared, leaving the wide border around the reverse. Purchased from Numismatics, Ltd., August 12, 1974. Wreath of corn and cotton, 10 CENTS on two lines within wreath, STANDARD above.